I just got an SMS message from TdF Glorietta 4 outlet exactly 2 hours ago about its ongoing promo. For every purchase of 2 boxes of 250-gm orange truffles at Php1,000, one gets a free box of toffee truffles. Go indulge! Promo runs until supplies last. I will skip this time co’z I still have a box of 2-pounder courtesy of my brod from Canada who came for a vacation last month. This holds very true for me. So while waiting for my Romeo to come along, I might as well have a bar or a piece of dark chocolate and a good massage. These are sort of my instant picker-uppers whenever I’m exhausted or just not in a good mood. I would like to dwell more on chocolates in this writing, though. Apparently, many are already aware that chocolate contains some chemicals that really improve one’s mood. Chocolate contains phenylethylamine, a naturally occurring amino-acid which some consider to have aphrodisiacal effects and is even said to be able to “cure” hangovers. Phenylethylamine is a substance which is released naturally in the human body when you’re in love. Other stimulants present in chocolate are dopamine and serotonin, which alleviate pain and encourage a good mood. Serotonin produces feelings of pleasure in a similar way to sunlight. Chocolate also contains theobromine, a chemical stimulant frequently confused with caffeine, but has very different effects on the human body. It is a mild, lasting stimulant with a mood improving effect. Its presence is one of the causes for chocolate’s mood-elevating effects. According to the web, phenylethylamine or PEA is called the “love chemical” or “love drug”. Maybe this is one reason why lately I have this very strong craving for chocolates – dark chocolates. I must be longing for that “loving” feeling (hahaha). Honestly, feasting on a bar of really good dark chocolate gives me that warm and relaxed feeling, that unique pleasure especially the moment it slowly melts in your mouth. Ahhh! Anyone wanna argue ? I have several brands, from bar to truffles, in the fridge waiting to be gorged on. The good thing about dark chocolate is its higher cocoa content compared with other variants which means more flavonoids or antioxidants. But dark chocolate is still chocolate which is a high-calorie and high-fat food, thus, must be taken in moderation. Based on studies, a 100-gram or 3.5-ounce bar of dark chocolate a day is beneficial. Yeah, you read it right, that’s “a day”. Ok, gotta grab a bar now…. More about chocolates next time. Went to Landmark Makati a few weeks ago to purchase some parsley, celery and strawberries for my smoothies for I find the fruits and veggies in this supermarket a lot fresher than in SM and even Rustans. I was on my way to line up at the counter when I passed by this condola rack containing chocolates of the Swiss chocolate maker, Lindt. I already got myself the Excellence Orange Intense which is a dark chocolate variant with orange pieces but after checking out the rest of the shelf, I saw the Lindor truffles. It was my first time to see Lindor in the supermarket so instead of getting the Excellence bar, I chose the pack of Lindor. My first palate experience of Lindor happened at the same time I had Truffettes de France – during my brother’s first return to Manila in 2003. The 200-gram pack contained 4 truffle flavors – dark, milk, white chocolate and hazelnut. These chocolate balls are prepared with an outer shell and super melting fillings in either silky dark chocolate, smooth milk or white chocolates, or a delicious combination of milk chocolate and hazelnuts. I really enjoy the smooth texture as it slowly melts in your mouth. Ahhh, tastes so heavenly! Lindor comes in 16 different flavors. I haven’t yet tried dark orange, stracciatella, peanut butter, extra dark, raspberry, dark choco peppermint and the limited edition milk with white. Just opened this afternoon my M&S Cherry Liqueurs – dark chocolates with a whole cherry and brandy center. I finished two pieces and I would say that this is a great-tasting chocolate, with the right bitterness complementing the brandy-soaked cherry. I would say also that this is the first time that I allowed my chocolate to stand at room temperature for a few minutes before finally consuming it and I’m telling you, I didn’t realize that it will be that good – a lot more pleasurable to enjoy the silky smooth confection melting in your mouth. Superb indeed! Leonidas is priced by the gram. When the lady in the Glorietta 3 kiosk informed me that a kilo of this chocolate costs around Php4,000.00, I almost choked but, of course, I didn’t show it. I had to shell out Php83 for a piece, approximately weighing 20 grams. There must really be something in this chocolate that I got to taste. 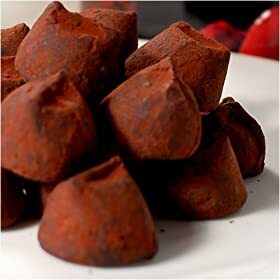 Since I love dark chocolates and the liqueur-filled, I got myself the cerise emballee fondant (dark chocolate with a whole morello cherry) and ganache rum (dark chocolate with rum filling) on a Friday, the 13th of February. The two variants didn’t quite satisfy the chocoholic in me. For the price, I was hoping to experience a more heavenly taste that would stir up my senses. Or maybe there wasn’t enough to really appreciate and enjoy co’z I shared the other half (of ganache rum) with my mother. Yeah, I remember I liked cerise emballee fondant more than ganache co’z I consumed the whole piece of cerise. So maybe next time, I’ll get myself at least 2 pieces of a variant though it would really hurt my wallet. But of course, since Leonidas is Belgian, it is expected to be costlier than the other brands. As we all know, Belgian chocolates are considered to be the gourmet standard by which all other chocolate confections are measured. Belgian chocolate boasts of a reputation for quality, in ingredients and adherence to the Old World manufacturing technique – made by hand. So on the overall, I would still consider Leonidas a special indulgence and gift… a real love treat. Leonidas is among the very few remaining Belgian chocolate praline companies operating at present. The others are Godiva, Nirvana and Neuhaus. Last Friday, I got the small package (smaller than a shoebox) that my brother sent me thru a friend. Guess what it was. Right! Every handcarried package will not be complete without Truffettes de France and some food supplements. Now, I got a 1-kg. box of TdF in addition to my 500-gm pack that has been sitting in the fridge for a month now. I didn’t want to open the existing pack until I got another. I just ignored the notice I received from Glorietta 4 outlet about the ongoing promo coz my brother had already informed me earlier that he’s sending a pack soon. I was expecting they melted and turned runny while in transit like the last time but thanks to Weng co’z only the cocoa dusts did melt. They were stuck together, though, so I had to use a fork or knife to separate them. I still enjoy the truffles even without the cocoa dusts. I’m telling you guys, if you’re on a diet, don’t dare taste this yummy delights co’z you will only get into trouble, unless you have enough self-control hahaha….